You want to work out with a friend but don’t have the equipment for two of you. You are on an LDS mission and you don’t have access to equipment and are not allowed to be on the internet or do workout videos. You don’t want to be looking at your phone every 30 seconds to see which exercise is next. There are so many situations which make printable workout routines great. I personally have a binder full of them at home. I find the workouts on Pinterest and other online places, and I want to be using my phone to time the exercises, not to look up the next move. Here are a few of my very favorite, tried and true workout printables. I have been doing this workout for years now. I’m not actually sure who came up with it. The website listed in the bottom right corner no longer exists, so it’s possible the author is no longer online. If you know who the author is, feel free to comment below! The 5-4-3-2-1 workout is capable of getting you sweaty in the short time span of 15 minutes. You warm up for five minutes, do lunges and mountain climbers for four minutes, pushups and tricep dips for three minutes, squats and jump squats for two minutes, and plank for one minute. I use it when I don’t have time for a longer workout or I want something short but full-body. It tends to go by really fast and before you know it, the 15 minutes are over! I love Popsugar! They have all kinds of workout videos on youtube and printable workouts that you can find on their website. This is just one of my favorites. I love this workout because it requires no equipment and still makes you sore. Also, it’s low impact and easy on the knees! There is only one lunge exercise, and if you have bad knees you could easily alter the exercise to fit your kneeds (haha…). It’s a nice break if you are wanting a leg workout and don’t feel like doing squats and lunges. Like I’ve mentioned before, I’m not much of a runner. I once was, but those days are over. However, I can run in intervals! I love that this workout is so short and yet so effective. It can also be repeated if a longer workout is desired. HIIT (high intensity interval training) is effective because you are putting in maximum effort for shorter periods of time, which basically keeps your muscles and your body guessing. Your metabolism spikes, and just when you start to bring your heart rate down, it spikes again. I have had great results with this type of training. 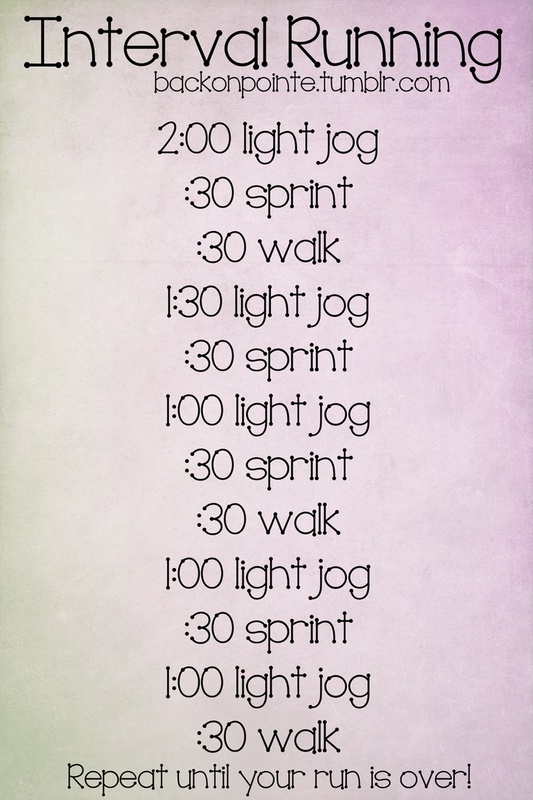 This workout can be done on a treadmill or outside. If done outside, it would be pretty impossible to just use this printout. I have the workout programmed to a free app on my phone called Tabata Timer. 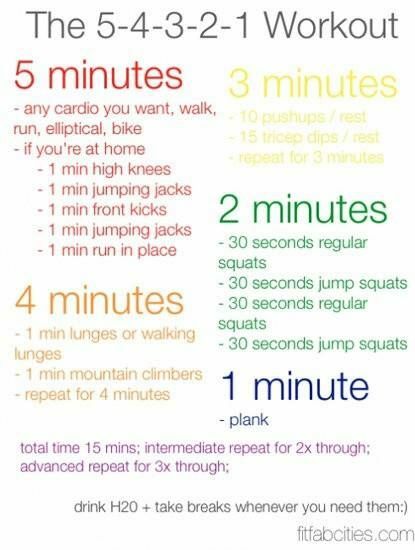 I classified this as an intermediate workout simply because I don’t think any type of running is a beginner’s workout! For a beginner, I would recommend jogging or even fast walking instead of sprinting. Spotebi creates workouts specifically designed for women. Some are free on their website and others require payment. This workout is one of my favorite lower body workouts. I like to use ankle weights to make it a little harder, but it is still great without any equipment! They recommmend warming up for ten minutes, then performing the circuit three times. I love that the workout especially focuses on the inner thighs. This is a trouble spot for many women, including me! I usually don’t do the full five rounds (shhhh…). I find that I can get a decent workout doing just three rounds, and usually if I am doing this workout, that’s all I have time for. Every round starts out with high knees, which are killer for getting your heart rate up! Then you follow that with moves that keep your heart rate up while working some of the major muscle groups like abs, back, quads and shoulders. This is a great routine for someone wanting a good balance of cardio and strength. So this is my secret: Don’t do exercises that are not working for you! Maybe you have heard the advice that form is everything. That is good advice. I love P90X, but I still cannot do some of their pushups (for example, the one where you have to push yourself off the ground, clap, and land in the pushup position). I simply choose to do a different type of pushup that targets the same muscles. It’s better to have good form and do an easier or different exercise than to have bad form trying to do the one that’s actually part of the workout routine. What are your favorite free printable workouts? Please feel free to add questions or comments below! Thank you, I’m glad you enjoyed my articles! I’m hoping to have some new content soon so keep in touch!